Home>News of Metal Industry > Why did the Statue of Liberty turn green?! Why did the Statue of Liberty turn green?! 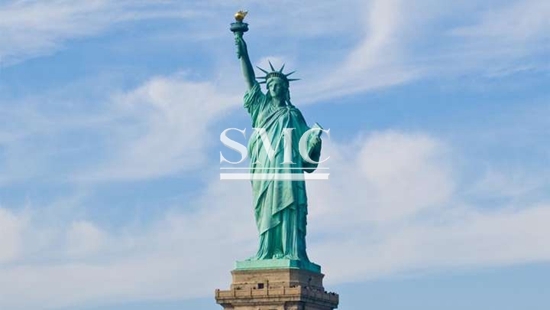 Copper can be seen in some of the most unlikely places, one of them being the famed Statue of Liberty! The Statue itself, a symbol of Democracy given to America by France in 1885, who was fighting for it’s own independence, was truly a feat of its time. It is a little known fact, but the statue of liberty is indeed made of copper, thirty tons of copper to be exact, which is enough to create 435 million pennies. Copper is an interesting choice for a statue like this, as it is exposed to the elements, which creates a problem of its own. The interesting thing about the Statue of Liberty is it’s current blue, slightly green color, which is very interesting as copper itself is a reddish brown color. This is the result of several reactions, such as copper losing electrons to oxygen in the atmosphere. This creates a mineral called Culprite, which is a pinkish red. Culprite continues to lose electrons to oxygen, forming a mineral called Tenorite, which is black in color, explaining the Statue of Liberty’s significant darkening over time, which continues to react with Sulfuric Acid in the air that surrounds the statue. Sulfur is a chemical found in volcanic matter, but is also created from man-made emissions such as cars, airplanes, and boats (of which there are plenty in New York). When Sulfur in the atmosphere reacts with the surrounding water, Sulfuric Acid is created. This Sulfuric Acid that is in the air of New York then reacts with the Copper Oxides in the Statue of Liberty, making the statue a teal color as a result. The statue reacted further with Chloride created by the surrounding ocean, giving Lady Liberty and even greener color. We hope you enjoyed this short chemistry lesson with Shanghai Metal! For more information on our vast line of copper products, please visit our website here, or reach out to us on Twitter, LinkedIn, or Facebook!